1. 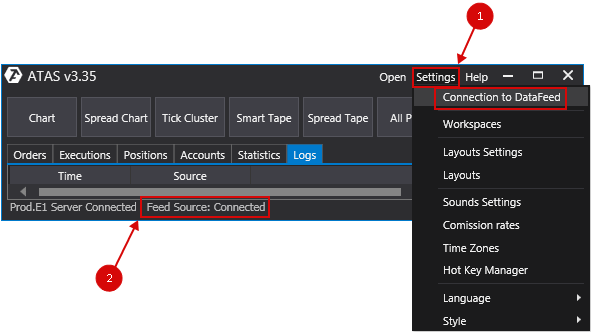 In the main program window, select the Settings menu item; then, Connection to DataFeed. 2. Click once on the connection indicator in the main platform window. To add new a connection click Add. In this window, you must select the type of connection BitTrex, after that - press Next. 1) In the connection window, enter the keys generated by you in your personal area on the BitTrex website. 2) Click the Next button.